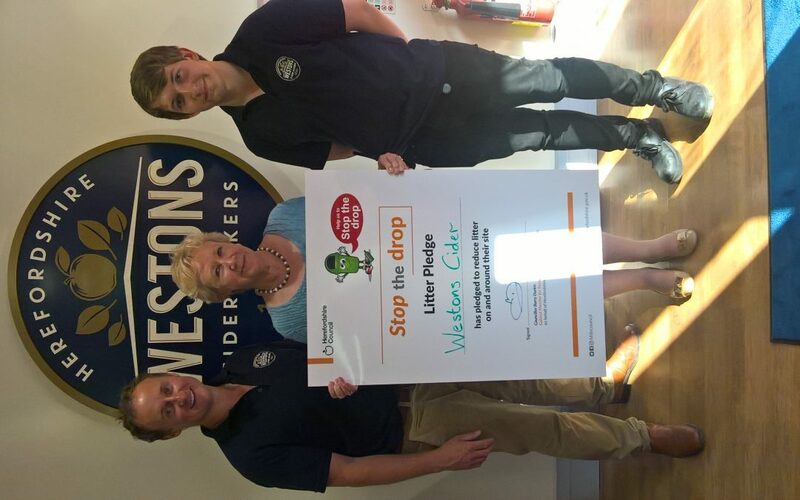 Herefordshire Council is delighted to share that its Stop the Drop litter campaign has reached a milestone with over 500 businesses signing up to the Litter Pledge. With the many issues that litter can cause, it can also put customers off approaching a venue or business. The Litter Pledge is an advantage to all businesses to ensure that their premises are kept clean, tidy and welcoming. We all need to take responsibility for our waste, and by signing the pledge and displaying the certificate, local companies can demonstrate their commitment to keeping Herefordshire clean whilst raising awareness of the issue of litter. Whilst celebrating its most recent milestone, Herefordshire Council would like to encourage even more businesses to sign the pledge at www.herefordshire.gov.uk/business-litter-pledge. Schools, Parish Councils, community groups and individuals are all able to sign the pledge too. To find out more information about the Stop the Drop campaign, please visit www.herefordshire.gov.uk/stopthedrop.